We chose the absolute highest quality options to complete your artwork without compromise. Your photo is first exposed on Fujicolor's highest quality photo paper, sealed under the polished premium acrylic glass, and then fixed to a solid backing. The 0.08" thick acrylic glass provides natural UV protection and a deep, radiant look. This combination with high gloss paper makes incredible color intensity possible with razor sharp details. The edges of your artwork will be precision cut and smoothed using a CNC milling machine. Your original photo print will be mounted on a carbon fiber panel that is autoclave cured using 250F cure epoxy resin and 3k twill weave carbon fiber under high pressure. This 0.12” thick fabrication using prepreg material and high temperature and pressure processing is typically reserved for aerospace applications. Carbon fiber is known for its extreme stability, stiffness and low weight. The composite backing consists of two carbon fiber plys bonded to a polyethylene core. The remarkable strength of carbon fiber sets it apart from other lightweight materials and can be shown to your gallery visitors with the Certificate of Authenticity and handwritten signature floating above the carbon. You will receive an original photo print on Fuji's most expensive high gloss paper. Fuji Flex is known for its warm base tone, extra rich colors, and an ultra-smooth surface for bonding in the acrylic face mount process - three great reasons we choose Fuji Flex high gloss paper. This photo paper is also a great way to accent your image's depth, and since it is 100% PET, it is remarkably durable. Our Fuji Flex paper (235 g/m²) has is used by professional photographers due to its remarkable sharpness and fascinating image depths. It is particularly suited to landscape photos with a large depth of field. The warm base tone and the high-gloss surface guarantee luxurious, extra-rich colors with perfect balance. The high Dmax value ensures black tones appear particularly intense. The silver halide paper is 100% PET, which means it won't rip or yellow for 100 years. Our modern laser exposure system, the Océ LightJet, produces images with sharp contours and high resolution. The colors will appear just as they do in the original - completely free of pixellation. Even the halftones will be exposed with precision. What makes the process unique is that, after exposure onto the original silver halide paper, your image will then be developed in our Photo Lab in a traditional chemical process. The unique end product meets the most-demanding quality standards, photos will be razor-sharp and have unbelievably vibrant colors. We add a thin white border to your LightJet print on Fuji Flex high gloss to give your image a classic look without cutting into the original image. Border width is 1/4” to provide contrast with the float frame. 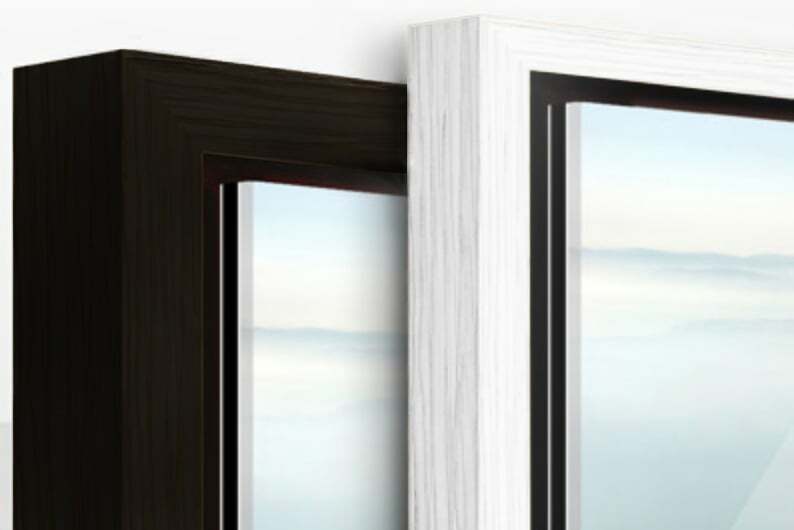 Our frame is produced from solid wood. Between the edge of the acrylic and the frame, there is a 0.28" wide shadow gap, which makes your image appear to be floating within the solid wood frame. You can hang your floater frame on the wall as soon as it arrives, thanks to the integrated hanging system. We attach strong metal elements to each corner on the underside of your work. A tremendous amount of craftsmanship and attention to detail go into every piece we make for you. For us, shipping and delivery are an extension of this service. In addition to Standard, Express or Premium Express delivery, you can also specify a later delivery date if you are going to be away. No matter what, our art shipping professionals get your order straight to you in customized art-secure packaging. Before the UPS delivery man leaves the WhiteWall lab, every photo is painstakingly inspected one last time. You then receive your order without middlemen or resellers. This makes fair prices and short delivery times possible. We package every floater frame in a protective cover. The art-secure packaging is cut and seamed by CNC machines and is therefore always customized to your individual piece. Polystyrene holds your order in place in the box. We send large and panorama formats in tailor-made wooden crates. More information about shipping costs and delivery times is available here.